Understanding the basics of the Cognitive Load Theory and applying them to your instructional design is an absolute must, particularly if you want your learners to get the most out of the eLearning course you are creating. This guide will offer you a detailed look at Cognitive Load Theory, including how it can be applied in learning settings. Check the Cognitive Load Theory and Instructional Design article and presentation to find more. One of the most important aspects of any eLearning course design is to insure that the information being offered is not only understood by the learner, but that they are also able to retain that information for future use. As such, a successful instructional designer must always be aware of the learning techniques being utilized, the amount of data included, and the structure in which the knowledge has been distilled and then dispersed.For this very reason, understanding the basics of the Cognitive Load Theory and applying them to your instructional design is an absolute must, particularly if you want your learners to get the most out of the eLearning course you are creating. This guide will offer you a detailed look at Cognitive Load Theory, including how it can be applied in learning settings. Cognitive Load Theory suggests that learners can absorb and retain information effectively only if it is provided in such a way that it does not “overload” their mental capacity. In other words, our short term memory, or working memory, can only retain a certain amount of information simultaneously (rather than an infinite supply of data). The more information that is delivered at once, the more likely that the students will not actually learn what is being taught nor will they be able to call upon that information for later use.The Cognitive Load Theory states that each person has a mental “schema”, which is a series of structures that enable us to solve problems and think (for more info check Instructional Design Models and Theories: Schema Theory). It also allows us to look at several different elements within a lesson or experience and treat those elements as just one whole element. In other words, it is what forms our knowledge base. According to this theory, there is a key distinction between an apprentice and a master, which is the fact that the apprentice has not built up or developed the schema that the master has. What are the Guidelines for Cognitive Load Theory in Relation to eLearning? You can reduce the amount of load that is being placed upon the learners’ working memory by integrating the various sources of information, rather than giving them the various sources individually. In tasks or lessons that require problem solving skills, avoid using activities that require a “means-ends” approach, as this will place a load upon the working memory. Instead, use goal-free problems or examples to illustrate the point. Reduce the amount of redundancy in eLearning course design in order to reduce the amount of unnecessary repetition-induced load that is put upon the working memory. Use visual and auditory instruction techniques to increase the learners’ short term memory capacity, particularly in situations where both types of instruction are required. What are the Types of Cognitive Load? This is the complexity that is inherently involved in certain tasks or materials. Simply put, some activities are harder to learn and to master than others. If they are more difficult, then they have the potential to cause an intrinsic cognitive overload. This form of cognitive load consists of non-relevant, unimportant elements, such as activities or instructional materials that make the learners use their mental processes. For example, if you use a graph that requires extra information processing, but isn't really necessary, this would be an example of extraneous cognitive overload. These elements enable the learners to devote their cognitive mental resources to the learning process and help to facilitate the development of a learner's knowledge base. How Can the Cognitive Load Theory Be Applied in Learning Settings? In order for real learning to take place, a learner's schematic structure must be altered, according to the Cognitive Load Theory. If this occurs, learners will actually be able to grasp the information that is being provided, process it within their short term (working) memory, and finally commit it to long term memory. In this case, they will be able to build upon previously learned information, so that they can expand their knowledge base (I highly encourage you to read the Memory: Types, Facts, and Myths article). However, if cognitive overload takes place, then learners will be more likely to make errors, not fully engage with the subject materials, and provide poor effort overall. The change in the schematic structures and pathways will not occur, simply because the learner cannot process the information being offered within the lesson.Therefore, from an instructional design point of view, eLearning courses should be created in such a way that reduces the cognitive load that is placed upon the learners. This will give the learners the opportunity to process what is being taught effectively and more easily. Remove all content that isn't absolutely necessary for the learning process. For example, if you are designing a slide show to provide information, try to reduce the amount of extraneous graphics you use throughout. Present information in different ways. For instance, offer some data verbally and other data visually, such as through images or graphs. This will allow the learner to absorb information using different processing methods, which will reduce cognitive overload. Divide content up into smaller lessons and encourage them to only move forward with the course when they have fully grasped the current material. This will insure that they do not overload their working memory and can effectively move the information to their long term memory. I highly encourage you to read the 5 Ways to Reduce Cognitive Load in eLearning as well.To conclude, if you want to design eLearning courses that are the most effective and beneficial for your students or employees, then you must keep in mind that there are certain cognitive load limits. Overwhelming their mental pathways and structures will only lead to errors and a lack of comprehension, which is a successful Instructional designers’ worst nightmare in every respect. A New Instructional Design Model Will Be Added Every Week! 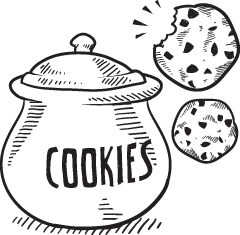 You are more than welcome to let us know if you would like us to cover an instructional design model and theory that is not included at Instructional Design Models and Theories. 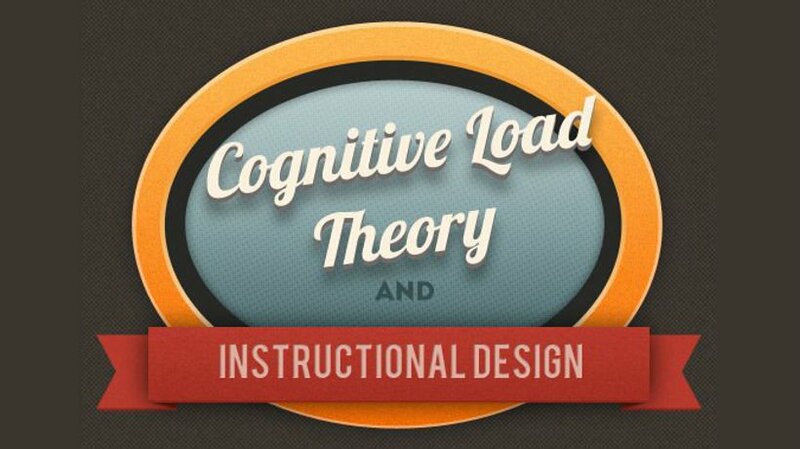 Simply leave a comment at Instructional Design Models and Theories.Last but not least, you are more than welcome to embed the Cognitive Load Theory and Instructional Design presentation at your site of blog. If you have a question that needs an answer concerning the Schema Theory do not hesitate to leave a comment and I will reply you as soon as possible.